Contact our Trussville office and schedule your appointment with Dr. Walker for a brighter, healthier smile today! Dr. Thomas G. Walker was born into a military family in Tokyo, Japan. After moving back to the States, his family moved frequently to various army bases around the country eventually settling in Alabama. He graduated high school in Montgomery, Alabama and attended the University of Alabama graduating in 1977 with a major in engineering. 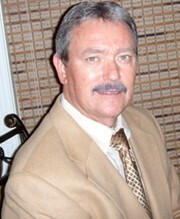 Dr. Walker taught at the University of Alabama School of Dentistry from 1982-1992 in the Operative Dentistry Department. He started a private practice in Birmingham in 1982 which became Alabama Dental Associates and that grew to become a large multi-doctor practice. In 2005 he moved to a solo practice in Trussville, AL just outside of Birmingham, focusing on individual patient attention and quality dentistry in a more relaxed atmosphere. He has served as Chairman of a 501c.3 corporation in Wisconsin that oversees $30M of care for Developmentally Disabled individuals. Dr. Walker is a member of ADA (American Dental Association), ALDA (Alabama Dental Association), AAID (American Academy of Implant Dentistry) and BDDS (Birmingham District Dental Society) where he currently serves as Vice President, he also held the position as President of the BDDS. Dr. Walker is currently on the Dental Board of Examiners, ICD (International College of Dentists), AFAOM (Academic Affiliate Fellow Academy of Oral Medicine). He has served on numerous ALDA committees including Exhibits Chair for two different ALDA presidents, two reference committees, two special committees including one that authored the Alabama White Paper that addressed the Access to Care issue in the State of Alabama. He is currently serving on the ALDA Council on Membership and the Pro Bono Dental Care Committee. Dr. Walker pursues more than the required amount of continuing education hours every year. He stays abreast of all the latest technology in dentistry to better serve his patients. He has completed a year long course in Implant Dentistry and successfully passed the comprehensive written exam to apply for Associate Fellow with the nationally recognized implant organization The American Academy of Implant Dentistry. Dr. Walker has worked at the Julia Tutwiler Prison for Women, which is a prison for women of the Alabama Department of Corrections, located in Wetumpka, Alabama. Tutwiler houses Alabama's female death row inmates, which qualifies it for the "maximum security" classification. He has been going to work there two times a month for the past five years. Dr. Walker states that he has treated lots of cases of "Meth Mouth" there. He has given presentations to Huntsville Madison County Dental Society and the Birmingham District Dental Society on his findings there and "Meth Mouth". "I have treated oral/facial trauma cases, and I hear stories from the inmates that you would swear I was fabricating. It is quite intriguing and educational" states Dr. Walker. Dr. Walker has two grown children and two granddaughters. He enjoys golf and he holds a private pilot's license. Oh and of course.....Alabama football!